Unleash yourself from cumbersome software. 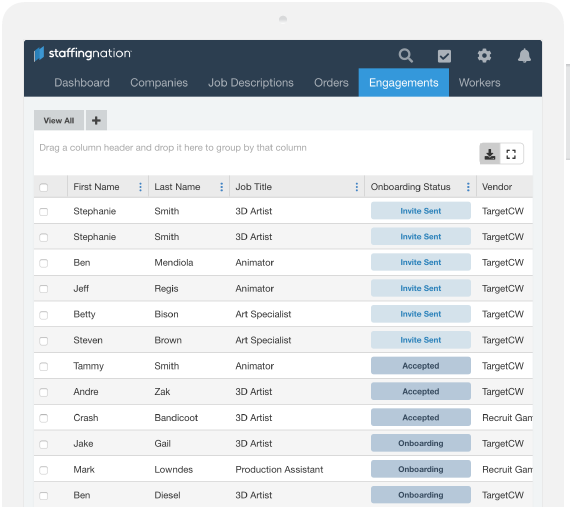 StaffingNation gives you full control and huge customability with a whole suite of features. 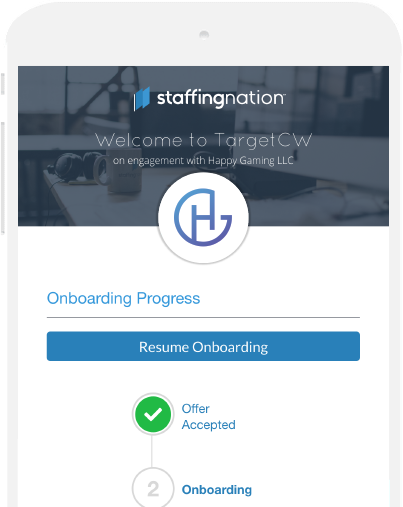 Unleash StaffingNation's quick and flexible onboarding process. 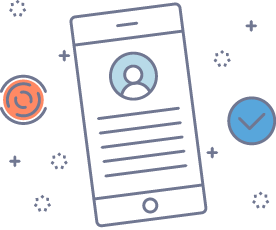 Offering 100% paperless onboarding with the ability to customize the process to fit your company's specific requirements. Full visibility of your Contingent Workforce. We offer immediate product support based here in San Diego. 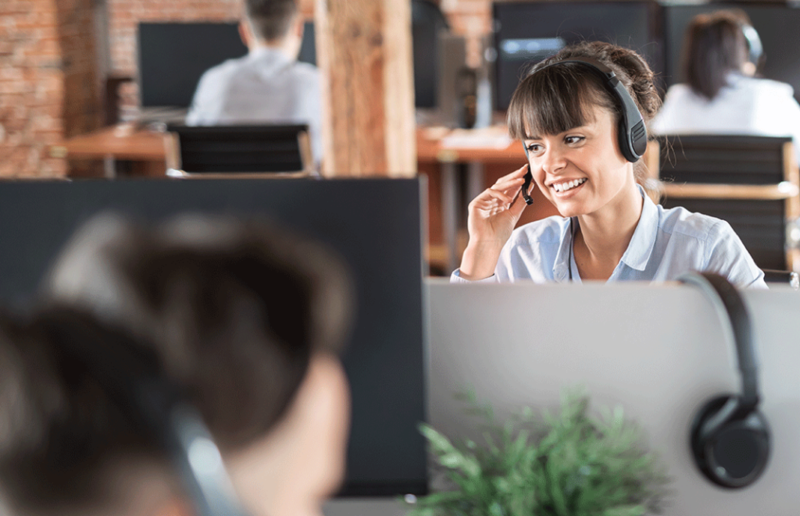 Call, email or live chat to get help with everything from onboarding to generating custom reports. Treat yourself to a guaranteed 1 hour or less response time and see why we have a 98% customer retention rate. Quickly view document compliance across all your contingent workers. Do things like create a custom workflow to ensure your HR team can verify job descriptions for FLSA compliance before posting. Keep your program on track by setting assignment end dates that alert your team when workers should come off assignment. 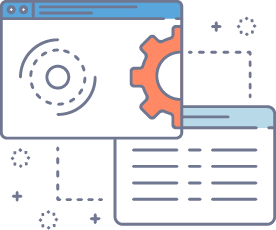 Intuitive control features are built in to ensure your team is managing costs. Enable things like AI-suggested pay rates based on historical data. Include assignment end dates. Enforce markup rates at the job description level. You also have the ability to lock in pay and bill rates, or set up an approval process if your team needs to alter them. StaffingNation is audit ready. 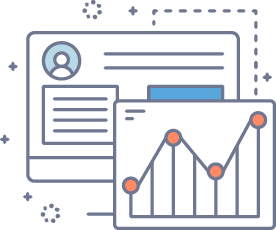 Internal tracking and activity logs allow you to see into your contingent workforce and enforce any company standards. It is also GDPR compliant and constantly stays up to date with changing privacy laws. Plus, all your data is securely stored, encrypted and SSAE-16 compliant. Learn how we can help you manage your Contingent Workforce!